Days before the resignation of the government of Prime Minister Plamen Oresharski, attempts of the ruling Bulgarian Socialist Party (BSP) to pass lobbyist amendments to Bulgarian legislation to legalize the sanctioned by Brussels “South Stream” gas pipeline mega project, remain ongoing. The European Commission (EC), on its part, during their spare time from bargaining for key positions, apparently is still “studying” the answer-sacraments of the Minister of Economy, Energy and Tourism, Dragomir Stoynev, who promised compliance with European rules by Bulgaria regarding “Gazprom’s” pipe. Those ruling the country, however, not only do not plan to comply with the Third Energy Liberalization Package of the European Union (EU), but are again rewriting the Energy Act (EA) for the benefit of the gas pipeline “South Stream.” A scandal burst after EC found out that the Deputy Chairman of the Energy Committee in the 42nd National Assembly (Parliament), Yavor Kuyumdziev, together with his colleague, also a BSP Member of the Parliament and former head of the Energy Efficiency Agency (EEA) Tasco Ermenkov, have changed the EA before first reading with the introduction of the term “sea water pipeline”. The respective text appeared in the EA after the first reading in the Commission and a vote in plenary hall. This text is in § 12. Article 172ZH was added to Chapter Twelve, Section II. It turned out that 2-3 km of Bulgarian land territory, near the host terminal “Pasha Dere,” is planned as a territory outside the European Union (EU) since the area was going to be considered a “sea water pipeline”. Local population is ready to tolerate everything after being promised jobs, while politicians and construction business were vowed by “absorption” of about 4 billion euro. The issue faded and “Gazprom” promised to hold another tender, which will delay the project, but will also eliminate the sanctioned by the United States sparring partner of Russian President Vladimir Putin –oligarch, Gennady Timchenko. His “Stroytransgaz” that was chosen as contractor together with “Gazproekt South” dominated by the tandem of controversial Bulgarian lawmaker, Deliyan Peevski and banker Tsvetan Vasilev, is about to be replaced by the subsidiary of “Gazprom” – “Tsentrgaz” and if this is not recognized by the European Commission as “legal” reshuffle, a new tender will follow. Lawmakers, however, are not asleep after putting to “sleep” public opinion and even the Office of the EU Commissioner for Energy, Gunther Oettinger. Now in the Act for Amendments and Additions (AAA) to the EA from July 3, 2014, (a report, which “Bivol” has – editor’s note) in the Parliamentary Energy Committee an editing appears, which addresses typically lobbyist amendments, and which is expressed in a few words, noticeable only for experts. “Art. 172zh. (1) In the extension of existing and/or new construction and/or operation of sea water pipelines for transporting natural gas from third countries, the provisions of Section IV of Chapter Three, Chapter Four, Chapter Eight “A”, art. 170, art. 172 – 172E, and article. 197, shall not apply to the connection point with another gas infrastructure within the land borders of the country. Although, the report states that the motion of the MPs from the centrist Citizens for European Development of Bulgaria party (GERB), Deliyan Dobrev, Ivailo Moscovski, Tsetska Tsacheva, Daniel Kirilov and Petya Avramova to remove this text has not been approved, the text has been “generally” supported by the Commission. “The Commission did not support the proposal in regards of the opposition’s request for deletion.” This means that the text is expected to be passed by a majority of BSP, the far-right nationalist Ataka and the party largely representing the Turkish minority in Bulgaria, the Movement for Rights and Freedoms (DPS). That is, in this way, it has been planned that the “sea water pipeline” will continue from km 2 to km 61 of the pipe – to the center for gas distribution and the compressor station “Provadiya”. That is the planned pipeline connection to the gas transmission system of Bulgaria, which is mentioned in the lobbyist amendments. A dispute between BSP and GERB has apparently broken out because of the name of that part of the EA as well. Chapter Twelve “GAS SUPPLY”, Section II, “Transmission, storage and distribution of natural gas, liquefied natural gas (title change – State Gazette, issue 54 from 2012, effective July 17, 2012) was also scheduled to be renamed. This is what the respective text in the Report to the Amendment of the Energy Act reads: “§ 8. In Chapter Twelve the title of Section II shall be amended as follows: “Transport through the sea water pipeline, transmission, storage and distribution of natural gas, liquefied natural gas.” The proposal of MPs Delian Dobrev, Ivailo Moscovski, Tsetska Tsacheva, Daniel Kirilov and Petya Avramova to drop “Paragraph 8” was not accepted by the Commission, which is headed by DPS MP, Ramadan Atalay. 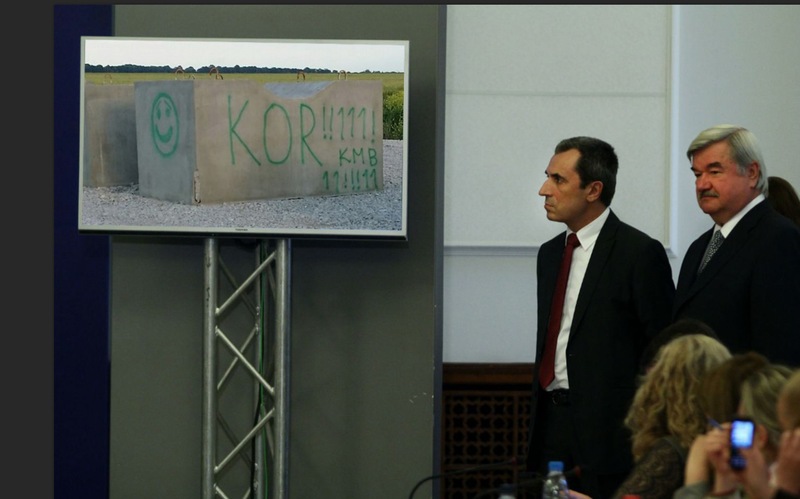 After the creation of the text for the “sea water pipeline” under the “proposal” of “South Stream”, already in July, 2014, in § 12 of the Energy Act, Art. 200 was amended as follows: 1. In par. 1 after the words “safe operation” the text “sea water pipelines for transporting natural gas” was added, and a comma was inserted. 2. In par. 2 after the words “facilities”, “transport via sea water pipeline” was added and a comma was inserted as well. In fact, this is where the proposal of MPs Delian Dobrev, Ivailo Moscovski, Tstetska Tsacheva, Daniel Kirilov and Petya Avramova to remove Paragraph 12 appears. It is beyond any doubt that according to the “ancient tradition”, the Commission, by a majority of BSP and DPS, did not support this proposal. This includes the untenable promises that were limited to the commitment to have the pipeline exit the sea waters at the pristine beach “Pasha Dere” and to continue underground. “We are committed to environmentally and socially responsible construction of the project throughout its route, in accordance with national, international and European laws,” says the explanation on the site of the project about the route of the pipeline. It is further said that “the project will be carried out in accordance with environmental legislation, as well as with other applicable laws and with all standards laid down in national and EU legislation, international conventions, protocols and standards such as the Convention on Environmental Impact Assessment in a Transboundary Context (Espoo, 1991) of the United Nations.” “In addition, the sea water gas pipeline “South Stream” will be built in accordance with the Bucharest Convention for protection of the Black Sea against pollution,” according to “South Stream Bulgaria”. Failures to comply with these laws already begin with NATURA 2000, which is binding Bulgaria as an EU Member State. “Gazprom” has been straightforward that it does accept legislation regarding the Third Energy Package of the EU, as it was adopted after 2008, when a large delegation, headed by Russian President Vladimir Putin, visited Bulgaria and signed respective agreements in the energy sector, called by his then Bulgarian counterpart Georgi Parvanov “grand slam”. The gas crisis of 2009 “unlocked” the need for interconnection of EU energy systems, but only “South Stream” is interesting to party headquarters since 4 billion euro still are a quiet substantial amount for the Bulgarian political elite. Moscow does not believe in tears, but it believes in BSP? Bivol published earlier confidential documents which included the justification for legislative changes in favor of “South Stream”, clearly written in Russia and submitted to the Bulgarian Energy Holding (BEH), which forwarded them to the Ministry of Economy to table a Bill. The State Commission for Security of Information indirectly confirmed the authenticity of the document, saying its leakage is being probed by the National Security Agency (DANS). This confidential document was not widely commented in Bulgarian press, but entered the analytical publications of global agencies. There is still time until the second reading of the Amendment of the Energy Act in the Commission and in plenary hall. Bivol urges intervention by the political forces of the opposition, including the parliamentary-represented GERB, the Reformist Block, the Greens and others. Since the text of the report is no longer available only to MPs from the Energy Committee, it might be possible to stop the “fine-tuned” lobbyist changes. According to him, BSP and DPS might not be able to secure a majority, if they fail to obtain Ataka’s support, while GERB will be against. Ivan Ivanov says everything for which there is no agreement between the various parliamentary groups probably “will not reach plenary hall”. Asked what was then the drastic and scandalous change in the EA, the experienced lawmaker said it was pulling wool over Moscow’s eyes. “Since these changes were proposed by” Gazprom”, BSP just want to show the Russians that they have done everything right; everything that depended on them in this issue,” said Ivan Ivanov. Separately, he reminded that the competent Minister of Energy Dragomir Stoynev has an agreement with Gunther Oettinger to appear in Brussels before the second reading of the Amendment to the Energy Act in plenary hall. “I do not see Stoynev being in a hurry to go – he obviously understands that the EC will not allow the text to be adopted in its present form,” stated Ivan Ivanov. topic. During the establishment of BEH in the last months in office of the Cabinet “Stanishev”, journalists attending the party then, greeted BEH’s first bosses with an “anthem” – the pop-folk song “Glory to the Holding”. For the project company “South Stream Bulgaria” we should propose to journalists an informal, but quite suitable anthem from the pop-folk “classic” – “I am a hunter and a fisherman” with the corresponding obscene refrain. It reflects the deepest attitudes regarding rule of law of the monopolist – the Russian State Corporation “Gazprom” and its Bulgarian-Russian subcontractors such as the “Stroytransgaz consortium” of Gennady Timchenko. Until recently, “Gazprom” was considered the “new weapon of the Kremlin” against the West, which Putin never fails to use. At least until last week it was the first armament, before the anti-aircraft missile complexes (ZRK) “BUK” shot down a civil aircraft with 298 passengers on board. Until then, this pipeline “weapon” of the Kremlin was used as the main lever of pressure on Kiev. Now 70 billion dollars are being invested in the project “South Stream” – the money “Gazprom” needs to realize it with the massive expansion of the Russian Gas Transport System (GTS). This will hit on Ukraine, which will not be able to benefit from gas transit and the EU and US energy giants like Exxon-Mobil will need to think twice before investing between 5 and 6 billion euro in the modernization of the Ukrainian GTS. In fact, this way Bulgaria suddenly became the country on the crossroads that will determine gas industry and energy security of Europe in the coming decades.